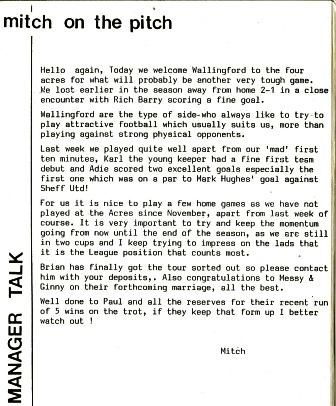 It was reported in the Results section of Hellenic League News & Views bulletin (issue No25) that Wallingford Town FC had won at Letcombe FC the previous week 29th Jan 1994 beating them 2-1. 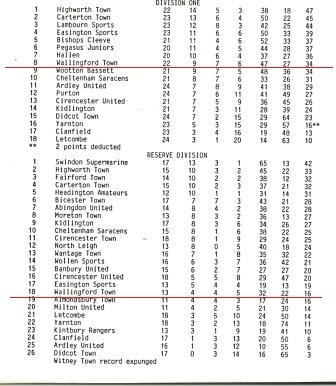 After beating Milton Utd Reserves 10-1 at home the previous Saturday, Wallingford Town FC Reserves were today due to play at home at 3:00pm against Ardley Utd Reserves in the Hellenic League Reserve Division. 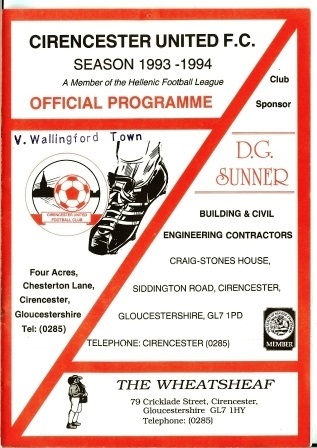 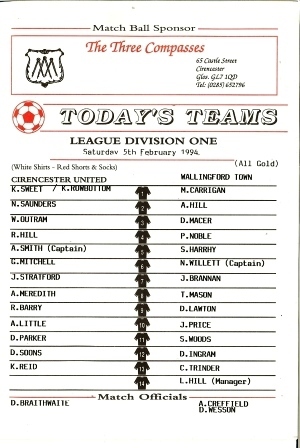 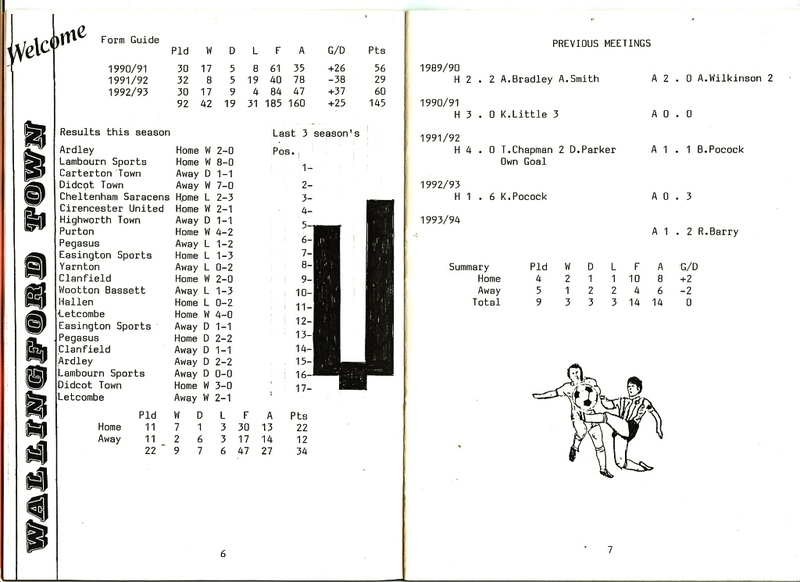 The programme also reported that Cirencester Utd Reserves had beaten WTFC Reserves 3-2 on the 15th Jan 1994.